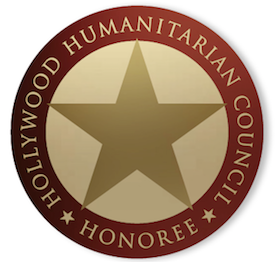 HOLLYWOOD HEROES™: There may not be a more reliable brand in blockbuster action fare than Tom Cruise. For a large portion of his career, Cruise, has been saving the world in style. When you think of an actor running away from an explosion (or really, running in any action sequence), you 100% think of Cruise. This week, he returns to his long running Mission: Impossible franchise with a new installment that sets the bar for the whole series. 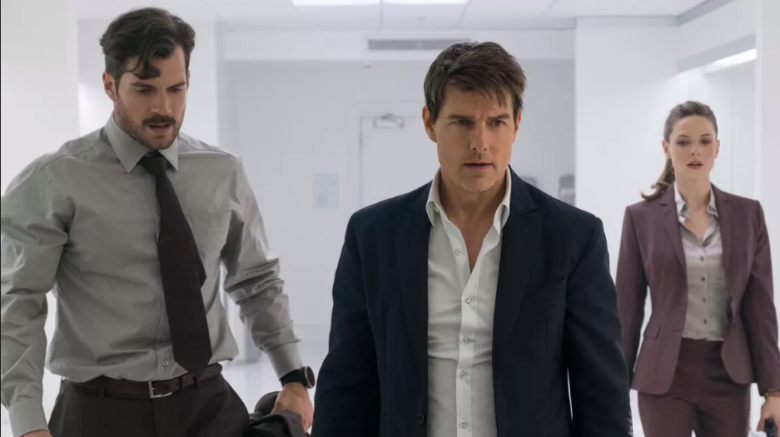 Yes, Mission: Impossible – Fallout is the best one yet. It’s an action thrill ride that also works as an emotionally and intellectually fulfilling journey. Sure, it’s often nonsense and ridiculous, but in terms of Hollywood cinema, it’s just tremendous. The movie is the fifth installment in the Mission: Impossible franchise, but the first direct sequel. Fallout picks up a few years after Mission: Impossible – Rogue Nation, but builds on the conclusion of that flick. This is the plot synopsis: “Ethan Hunt and the IMF team join forces with CIA assassin August Walker to prevent a disaster of epic proportions. Arms dealer John Lark and a group of terrorists known as the Apostles plan to use three plutonium cores for a simultaneous nuclear attack on the Vatican, Jerusalem and Mecca, Saudi Arabia. When the weapons go missing, Ethan and his crew find themselves in a desperate race against time to prevent them from falling into the wrong hands.” As always, we follow Ethan Hunt (Cruise) along with his IMF teammates Luther Stickell (Ving Rhames) and Benji Dunn (Simon Pegg), this time as they try to clean up a mess of their own making. Paired with CIA assassin August Walker (Henry Cavill), they find old enemy Solomon Lane (Sean Harris) again a thorn in their side. Luckily, Ilsa Faust (Rebecca Ferguson) is also back for more. Christopher McQuarrie writes and directs, with other players here including Alec Baldwin, Angela Bassett, Wes Bentley, Vanessa Kirby, Michelle Monaghan, and more. Lorne Balfe provides the score, while cinematography is by Rob Hardy. I really dug this film. It’s just a thrill ride from start to finish. Cruise not only does some incredible stunts, he actually lets you know a little bit more about who Ethan Hunt is. There’s something really great about a blockbuster coming from one auteur’s mind, and we get that here. McQuarrie is the only writer, as well as the director. This makes it an organic sequel too, as opposed to a forced one. Plus, the aforementioned stunts are great. There’s no one standout sequence like in recent outings, but they all build upon one another. It’s a whole lot of fun. 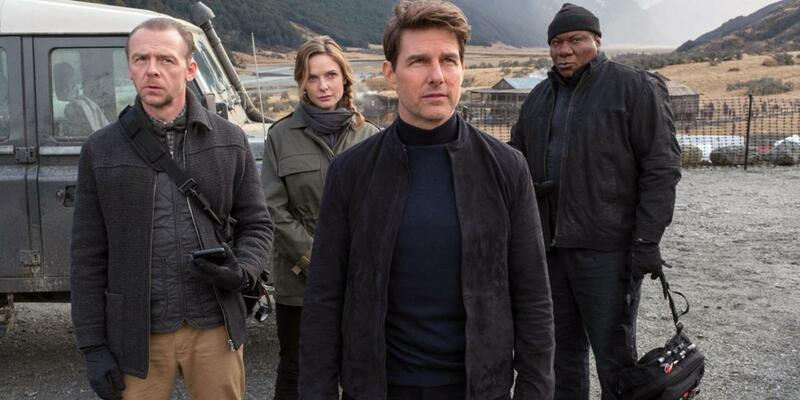 Cruise never seems to age, but if this turns out to be one of the last handful of action vehicle for the actor, he’s proving that he’s still at the top of his game. The fact that he was up for a big role in Quentin Tarantino’s now filming Once Upon a Time in Hollywood suggests that he’s at least considering drama again. For now, he’s still the premiere action hero in the business. This franchise is showing no signs of age, and Cruise especially seems to have a great relationship with McQuarrie. If this is what they’ll continue to put out, I hope they never stop. Starting tonight/tomorrow, fans of the Mission: Impossible franchise, as well as Cruise fans, will be in for a treat. Mission: Impossible – Fallout is one of the best action flicks in years. It is satisfying in a way that few giant films of its ilk can be. The movie works, and it works in a big way. The premiere action franchise out there, Cruise leads this series to its high point. That’s no small feat either, as this has been a consistently strong brand for years now. Mission: Impossible acolytes are going to lose their minds. When this makes a ton of money over the coming weeks, it will deserve every single cent. Be sure to check out Mission: Impossible – Fallout, in theaters everywhere this weekend!